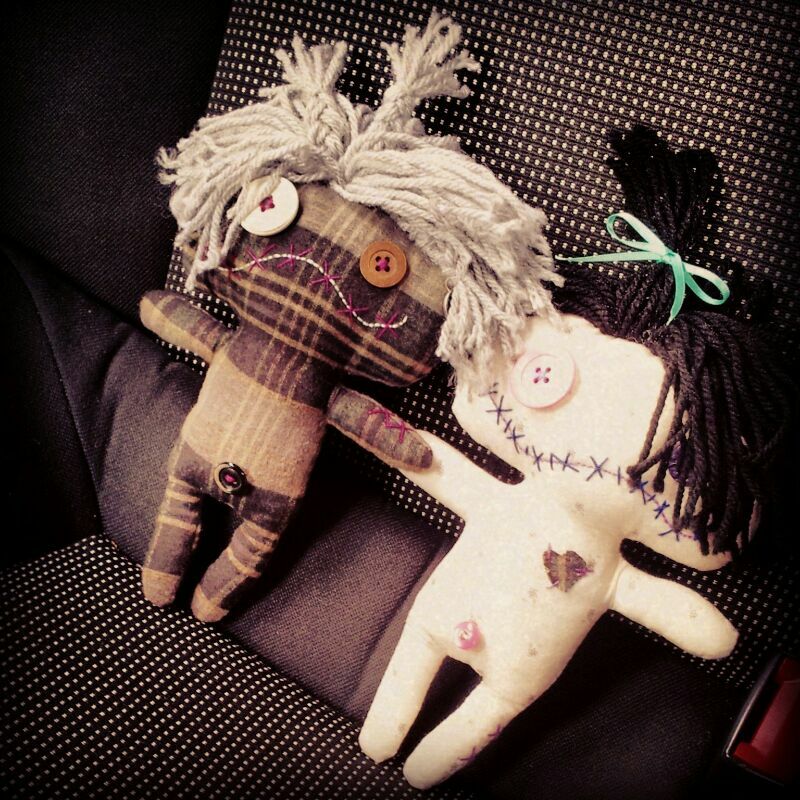 I love your dolls! Where did you get them from? Can I get one? Paein made them! They’re loosely based on the doll Lilo made for herself in Lilo and Stitch, which she called Scrump. Sorry, but there are only 9 in existence and the pattern is no more. Paein is #1 (though started first she was finished last) and Ms4tune is #8.
Who made all your banners? We did! The cartoon versions of our dolls were drawn by Ms4Tune’s husband. We just developed it all from there. We’d love to, but please see our policies page and see what kind of books we enjoy reading. It’s not recommended you send us book we don’t generally like to read – we won’t like it and it won’t get a good review. Can I recommend a book for you to read? We’d love you too! But please don’t get offended if we don’t read it right away or at all. We have large piles of books to read and sometimes we have very specific tastes.